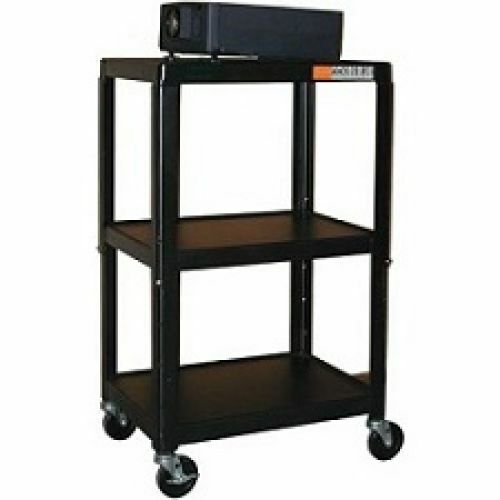 Height adjusts from 26" to 42" in 4" increments and carts have 24" wide x 18" deep shelves. Constructed from heavy-gauge steel with a durable, charcoal powder-coat finish. Includes 4" casters (2 locking) and UL approved, four-outlet surge-protected power strip with 20' cord, and a cord winder. Ships ready to assemble. 12-year cart warranty. 1-year electrical warranty. Additional shipping charges apply.